Professional-grade teeth whitening, an effective way to brighten smiles, takes less than an hour with in-office treatment. The simple procedure requires no anesthesia, and it's perfectly safe. After preparing your mouth, we will apply a gel to your teeth and activate the teeth whitening process with a special light. 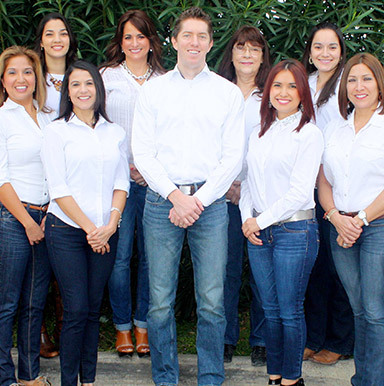 You'll leave our office with a smile that's up to 10 shades whiter. You may prefer to whiten at home, and we can help with that, too. We'll create custom trays to make home teeth whitening comfortable. Each night for a week or two you'll need to apply our professional-grade whitening gel to the trays, and then wear them at night. Within just a few days, you'll notice a difference, and by the time treatment is complete, you'll smile with confidence. Take-home trays can also touch up and maintain in-office teeth whitening.